I have to give Treyarch props, they've really come up with some unique and inventive mini-campaigns for their four player co-op mode in the Call of Duty game's they've developed. It's unique and fun content, like that found in the original Black Ops DLC, Escalation, which featured Hollywood stars Danny Trejo, Michael Rooker, Robert Englund, and Sarah Michelle Gellar. While that group fought off Nazi Zombies, the new content featured in the Uprising DLC for Call of Duty: Black Ops 2 has a whole new cast facing off against a whole new menace - Mobster Zombies. Our new group of characters are taken straight from your typical Italian style mafia movies and shows. You've got Chazz Palminteri (The Usual Suspects), Joe Pantoliano (The Sopranos, Matrix), Michael Madsen (Reservoir Dogs), and Ray Liotta (Goodfellas) all heading to Alcatraz to take on the undead gangsters. The video showcases new weapons to use - all themed from a 1920s era. Also on display is a renewed focus on traps, something we saw in World at War's zombie mode. The trailer itself is even done in a bit of a noire style before ripping up into full on metal and rock as we see new zombies - literally covered in metal and barbed wire attack our "heroes." 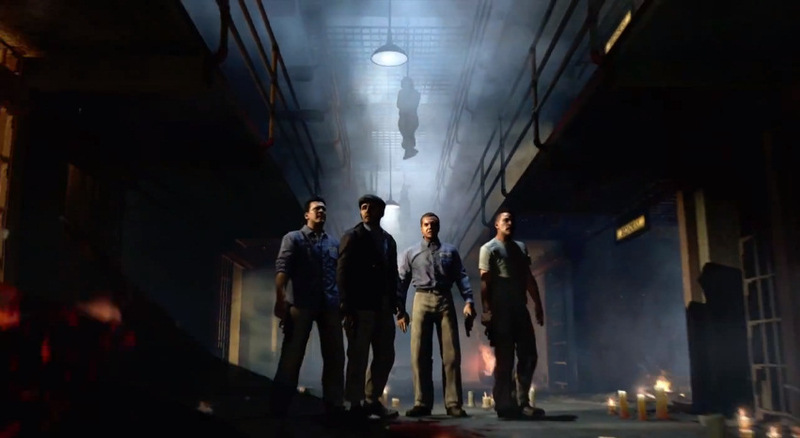 Mob of the Dead is part of the Uprising DLC and will be out on Xbox 360 on April 16th. The dates for the PS3 and PC release haven't been announced yet.